Did you know that every year, more than 27 million people set sail on a cruise? It’s no surprise! Cruises are family-friendly, exciting, and offer a variety of unique travel experiences. Whether you’re planning your first voyage or your hundredth, it’s important to know how to maximize your vacation. We’re here to show you how to land the best cruise cabins. Let’s get into what you need to know! If the early bird gets the worm, the early travel planners get the best cruise cabins. Cruise lines will typically offer the best rates as soon as a new itinerary becomes available. That means people are booking further in advance than ever before, even up to 12-18 months. If you’re looking to score a lucrative deal, consider planning out your vacation as soon as you possibly can. If you have a flexible schedule, taking an off-season cruise can be one of the easiest ways to land the best cruise cabins- at a fraction of the original cost. Peak cruise times tend to be around holidays and school breaks. If you can travel just before or after these key times, you can score deep discounts. Just make sure that you keep the season in mind. You don’t want the poor weather to ruin an otherwise amazing trip. Considered a well-known hack in the travel community, repositioning cruises can offer impressive savings. Here’s how they work: ships often relocate from one part of the world to another. For example, it may start out debarking in Fort Lauderdale, but it will end in Barcelona Spain.  Repositioning cruises typically take place during spring and fall. This is when cruise lines transition their summer and winter travel schedules. These cruises, while cheaper, tend to be longer (2 weeks or so), and you will likely have extra sea days. Each cruise line will display the features and dimensions of the rooms during your booking process. You’ll need to think about your travel priorities. For example, do you tend to get seasick and claustrophobic? An inside room may not be for you. 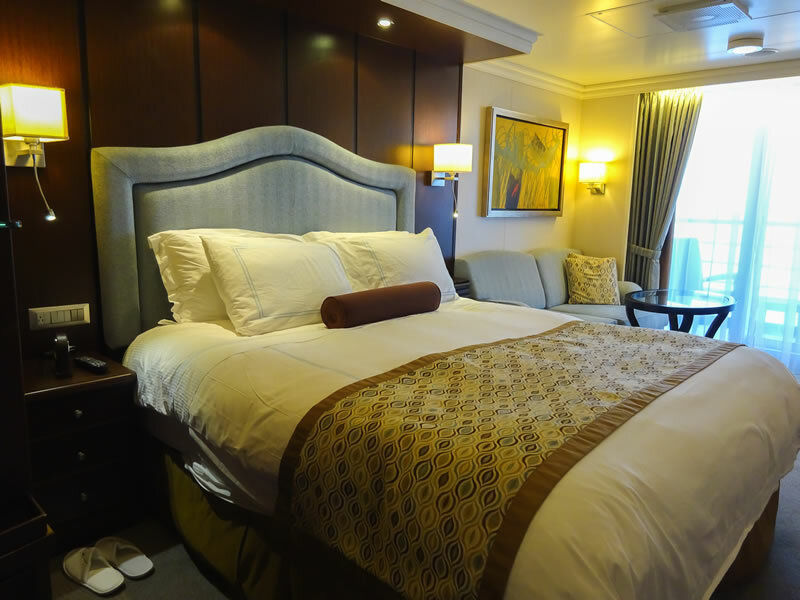 However, if, on the other hand, you’re looking to pay the cheapest rate possible, then you absolutely will want to look into inside staterooms. Location, location, location, right? When it comes to finding the best cruise cabins, the real estate can definitely play an important role. Let’s look into some of the factors of cruise location. 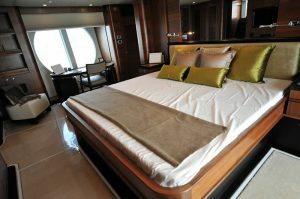 Staterooms can be very close (or very far) from specific areas of the ship. For example, you may want to be close to the restaurants or pool area. If that’s the case, you’ll want to look for a stateroom close to those levels on the ship. However, you may be happy to walk (burn off those cruise treats!). If that’s the case, it won’t be a huge issue to pick a room on one of the lower levels. Even though many people prefer to the be on the upper decks (closer to the pool deck), these areas can get noisy! You may hear lingering pool party noises, DJ music, or even chairs scraping around. In general, the best cruise cabins are the ones that have some distance from all the noise. This includes having some distance from the laundromat, bars and lounges, and service areas. Even though there is no way to prevent seasickness 100%, cabin location can help. In general, the lower and more central you are on the ship, the less swaying and rolling you will experience. If you want a balcony room, aim for the lowest level that’s the most centrally located. Each cabin has different perks and amenities, and it’s important for you to determine what you’re looking for when you book. If indulging is important to you, the best cruise cabins will be able to accommodate your every relaxation need. Just make sure to read the fine print and terms and conditions before booking! 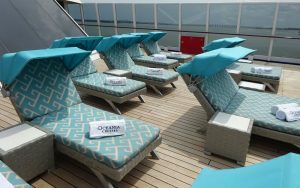 Some cruise ship companies offer “guarantee” cabin selections. If you go this route, you will pay a discounted rate for the cabin type you want (inside, outside, etc.). However, in doing this, you allow the cruise line to pick out the cabin for you. This can go two ways: you may receive a higher-category cabin or you may get the worst cabin in the designated category you choose. If you don’t mind the risk (and you’re looking to save some extra dollars), this may be the best option for you. Many of the best cruise cabins now accommodate entire families. That’s because cruising, as a whole, has become a more popular family vacation. To accommodate this, cruise ships now offer family-based designs in their suites. If you are traveling with young kids, look into options with bunk beds or adjoining cabins. Some cabins even have pullout sofas. With that said, you may also want to consider multiple rooms. Be sure to price out different options to get the best deal. If you’ve never cruised before, it’s worth asking your loved ones for recommendations. Which rooms do they most prefer? Which rooms would they stay far away from? What cruise lines have they had the most enjoyable time on? Pick their brains. After all, nothing beats a recommendation from someone you trust! If you’re looking to travel on a cruise this year, we’ve got you covered on the very best tips for making the ultimate vacation!